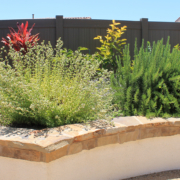 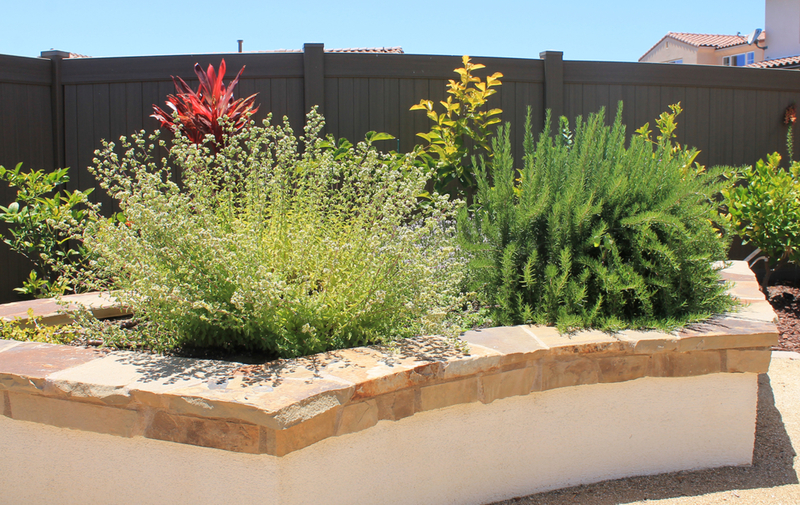 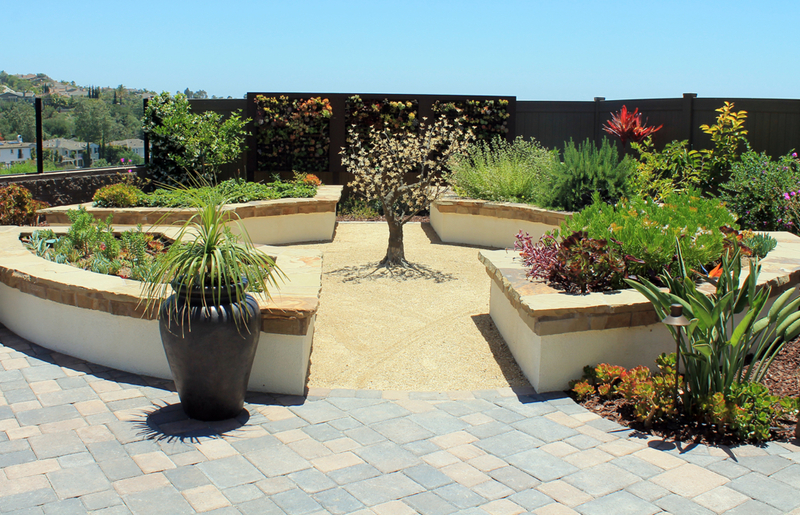 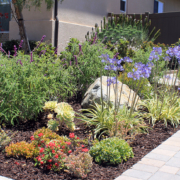 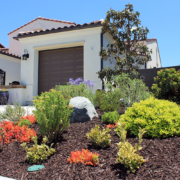 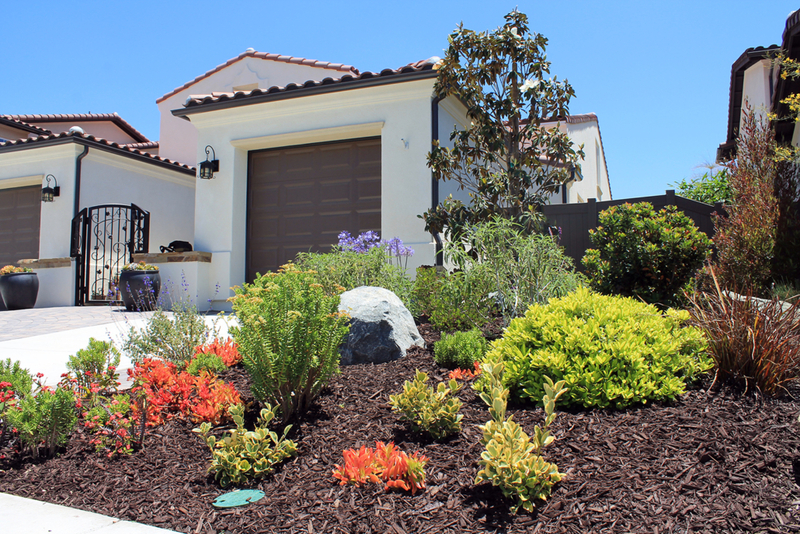 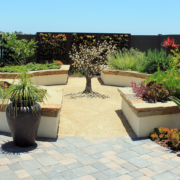 During construction of her new home, Munira chose to create a low maintenance and low water use landscaping that provided easy access by eliminating steps when possible and raising planting beds. 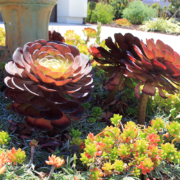 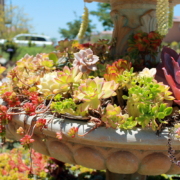 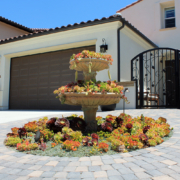 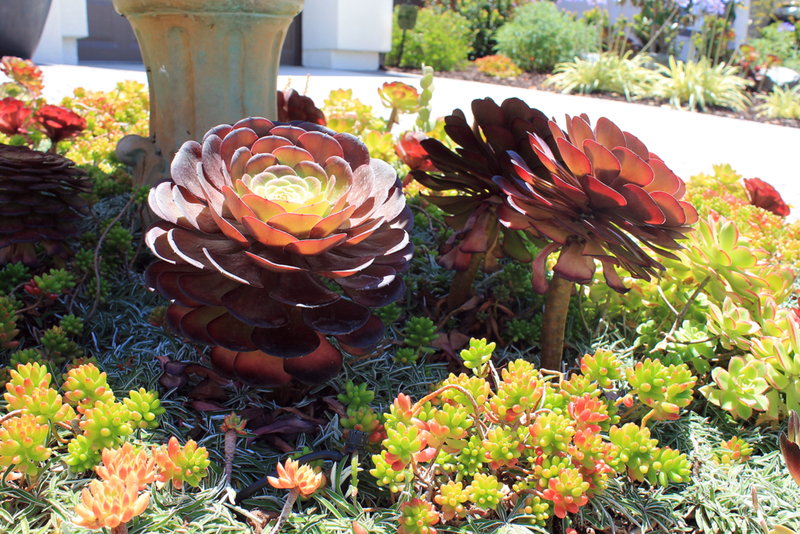 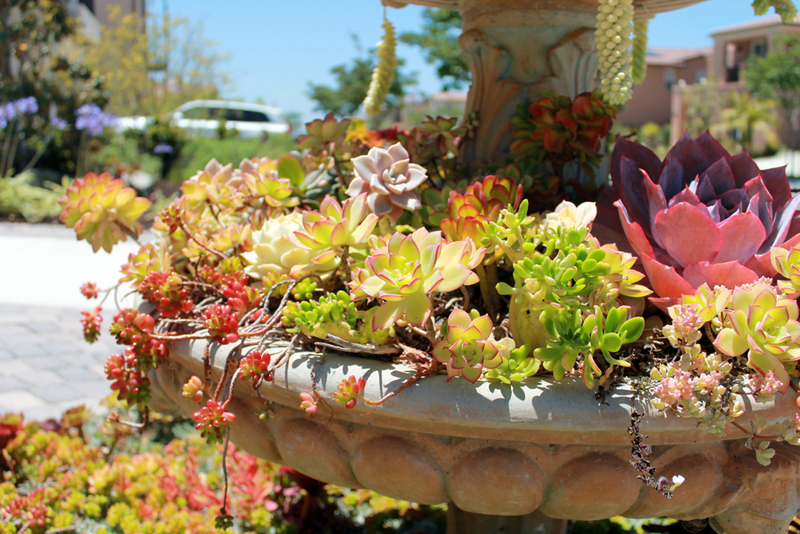 She brought an unused water fountain from her old home to use as a centerpiece of the front yard, filling it with succulents after adding drainage holes and a ring of drip irrigation buried in the soil. 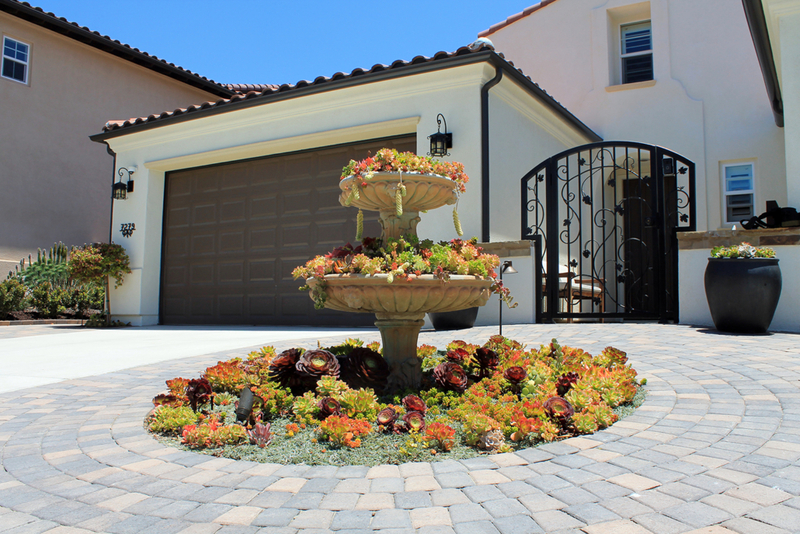 The front courtyard was finished with a low wall and iron gate with a grape vine design and hosts a water feature accented by the delicate blooms of Australian Violets. 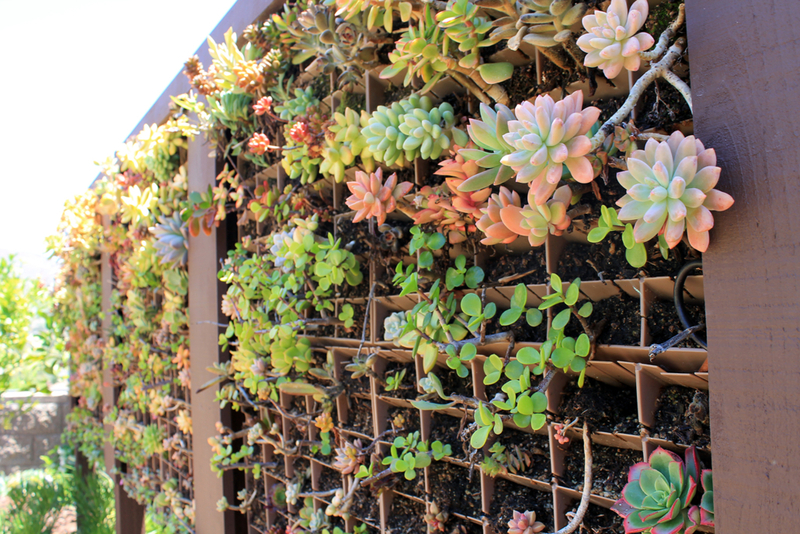 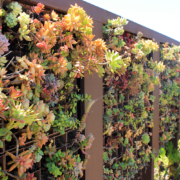 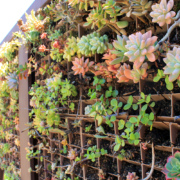 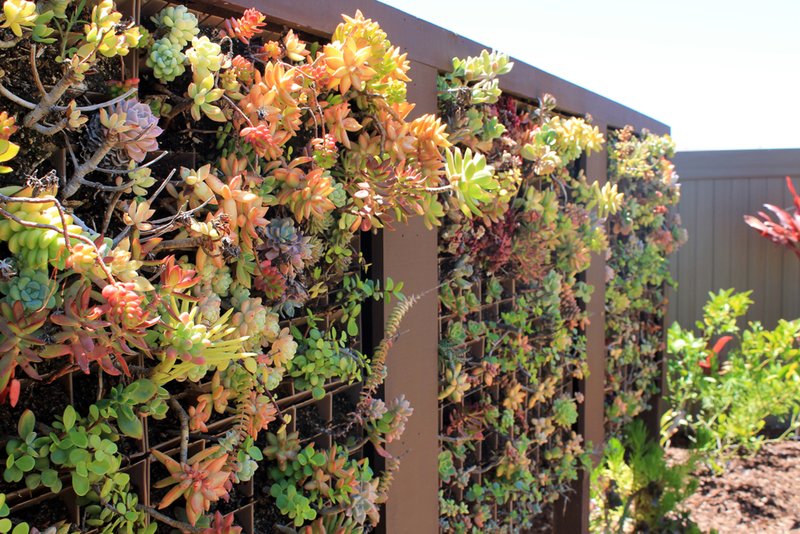 The backyard features a vertical succulent wall that worked behind the raised beds and a low-power LED sculpture area. 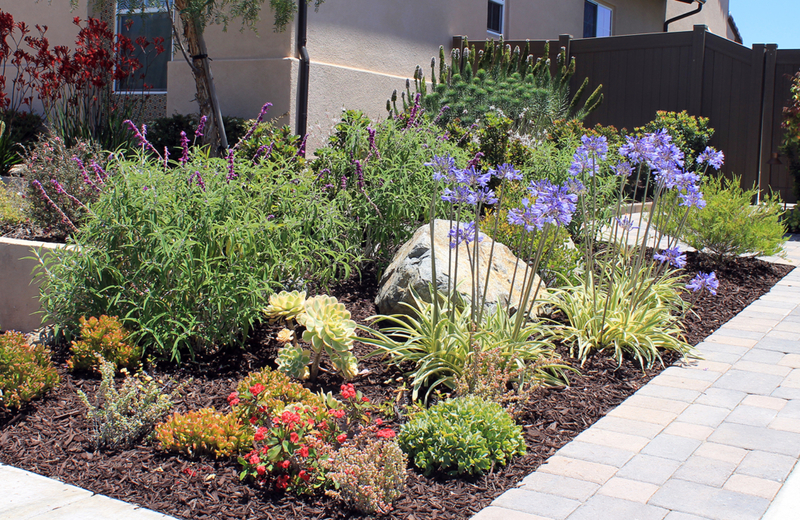 Munira is very happy with her low water bills and the variety of textures and colors the water-wise landscaping has delivered!